Tired of attending classroom sessions? Wants to learn but cannot afford to leave your home? Did you know that you can now learn new skills even without leaving your houses? TESDA has once again promoted a program which encourages each individual to enroll, learn and experience variety of trainings which can be useful in their future! This is made possible by TESDA’s free-offered online courses. These courses are open to everyone: students; homemakers; stay-at-home moms/dads; OFWs; or even workers who wish to learn something new. 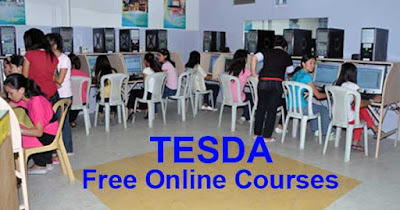 Learning at your own pace is one of the advantages of taking these online courses from TESDA. There’s no need for you to sacrifice your office or school hours to study these courses; you can still work on your regular jobs or attend classes or do whatever it is you need to do throughout the day, then simply study these courses whenever you have spare time. In addition, the courses are offered for free so paying tuition fees can be excluded in your routines as learners. Moreover, since the courses are offered online, you can easily review the materials if you ever feel like you have to refresh your knowledge. This program is not full of advantages as it has disadvantages as well. One major disadvantage is that you will not get the respective credits for accomplishing the courses you took online unless you take the assessment test at a TESDA assessment center. There is an easy remedy regarding this matter, though, as you only need to go to the TESDA assessment center to take all the necessary tests so you can receive the training certificate you can use when looking for a job. Good day! Nagregister po ako pero wla p pong confirmation...paano po un? Wala po bang course na electronic product assembly and servising..? How to enroll online po ? HOW TO ENROLL PO SA FREE ONLINE? How to enroll for online course? I want to study about SMAW course how to enroll online? Bakit wala nmn pong bookkeeping sa choices ng online enrollment? Free tuition po ba ang driving? Paano po Mag enroll sa into. Paano po ba mag apply sa online? How to enroll by online? How to enroll via online ?